There are very few books in pagan and polytheist studies that deal exclusively with bears — or, to be specific, the Bear Goddess. While there are a great many deities and heroes associated with bears — Artemis comes to mind, and Arthur, and Artio (and see what those names all have in common?) — none of them were actually considered a bear deity. (To find one of those, you have to go halfway around the world from Europe in search of Nanuk, the Inuit polar bear god.) But the traces exist, embedded deeply across European and northern Asian prehistory, mythology, and linguistics, indicating the long-ago worship of just such a deity. Anne Welch has done a masterful job of digging out these ancient fragments of lore, drawing on cave drawings, archaeological finds (including the discovery in France of a perfect circle of cave bear skulls that most specialists in Paleolithic archaeology possess cult significance), and linguistic roots. She melds these fragments with her own personal gnosis, based on years of practice, worship, and work. Her book discusses Arta, the ancient bear goddess of healing, metallurgy, herbalism, and magic, detailing the prayers and rituals she has created for Arta, as well as other facets of this goddess’ nature. Arta, Welch points out, is a goddess so old that almost all traces of her have been lost; she may have been worshipped since Paleolithic times, and subsequent religious practices by European cultures as they grew more civilized may have displaced or destroyed almost any record of her save the paintings and remains found in the caves in Switzerland, Slovenia, Germany, and France. A note: strict reconstructionists will point out that this book contains far more personal gnosis than historical fact. While it is true that the historical record is, of course, silent on the existence of this particular goddess, much less any recorded human worship of her, the book is less about facts that may only be verified in history books and museums, and more about building a personal religious practice through communication with the deity in question, an understanding of the context in which such worship might historically have appeared, and a willingness to see the patterns in the recorded religious beliefs of other ancient cultures that bear (pardon the pun) a distinct familiarity to what Welch is sharing here. She points out possible links to other gods and goddesses such as Artemis and Odin, and suggests it is possible that some of the gaps we have in our knowledge of pre-Christian history might well be filled in with Arta and other deities like Her. In the end, it is worth noting that all modern, non-indigenous (Hindu, Shinto, African and Chinese folk/tribal religions) polytheistic traditions are composed mainly of two things: our knowledge of the historical facts, and our personal experience with the gods, spirits, ancestors, and heroes we are honoring. The only difference between the worship of Arta and any of these other traditions (including heathenry, Hellenic paths, Celtic traditions, and so on) is the proportion of historical facts to personal experience; in some traditions, the history outweighs the personal experience, and in others — such as the worship of Arta — the opposite might seem to be true. What is also true is that historians, archaeologists, and other scientists are constantly discovering new pieces of our myriad ancient cultures to add to the puzzle that is what we know so far. It is, of course, highly unlikely that we will ever have every piece in the puzzle, but there is nothing to say that someone, in the not too distant future, might find such historical evidence to lend more factual weight to the worship of Arta, and I sincerely hope that that day might come soon; adding that knowledge to what we already have can only serve to deepen and broaden the vast tapestry of polytheistic history, further confirming the richness of the religious practices and beliefs of those cultures. The Cavern’s Wise Woman: The Bear Goddess is not a book for everyone, but for those with an interest in potential European religious practices, a love of bears, or just an abiding curiosity, they could do far worse than to invest in a copy and open their minds, hearts, and spirits to the roar of the Bear Goddess. 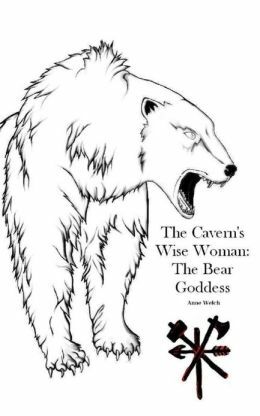 i am wishing to buy The cavern’s wise woman:the bear goddess. . could i have an address? HI The book is not available through either Amazon or Barns & Noble. Can you tell me how to get a copy? Hhmm. Yeah, I’ve looked around, and it does not even seem to be available through the publisher’s site anymore. You might try contacting the folks at Spero Publishing; they might be between print runs or planning a revised edition.